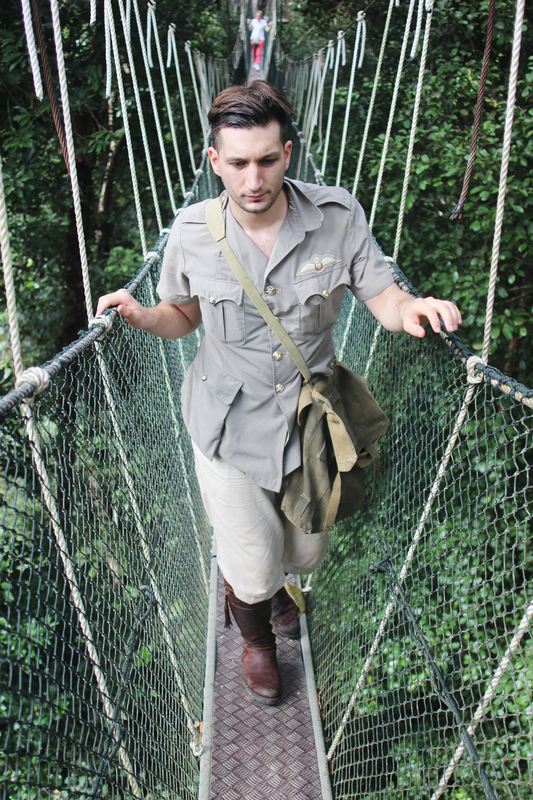 Last week I showed my boyfriend (dressed as a British colonialist, as per usual) one of Malaysia's greatest natural treasures and most famous ecotourism destination: Taman Negara. Literally 'National Park' in Malay, Taman Negara was established by Henry's ancestors in the late '30s and named 'King George V National Park' before being renamed post-independence. At 130 million years old, Taman Negara is the world's oldest rainforest and twice as old as the Amazon. 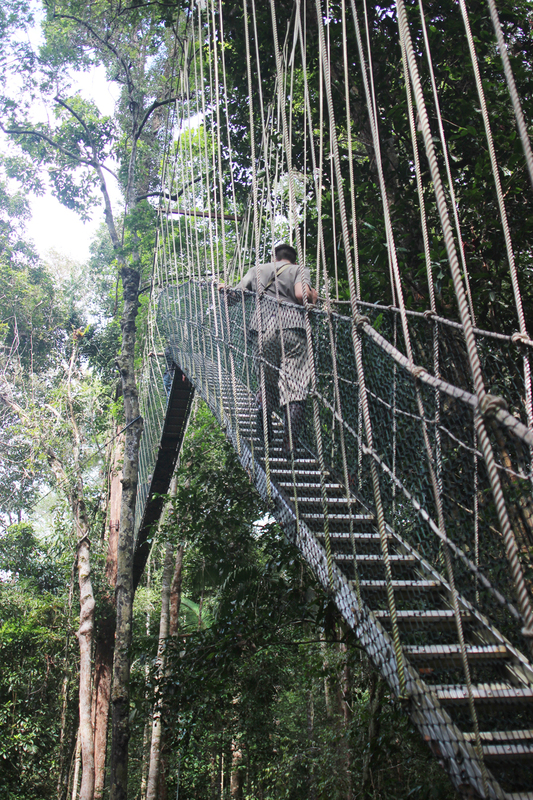 Every June to August people flock by the thousands to climb Gunung Tahan, walk the longest suspended canopy walkway in the world, and to spot rare critters. 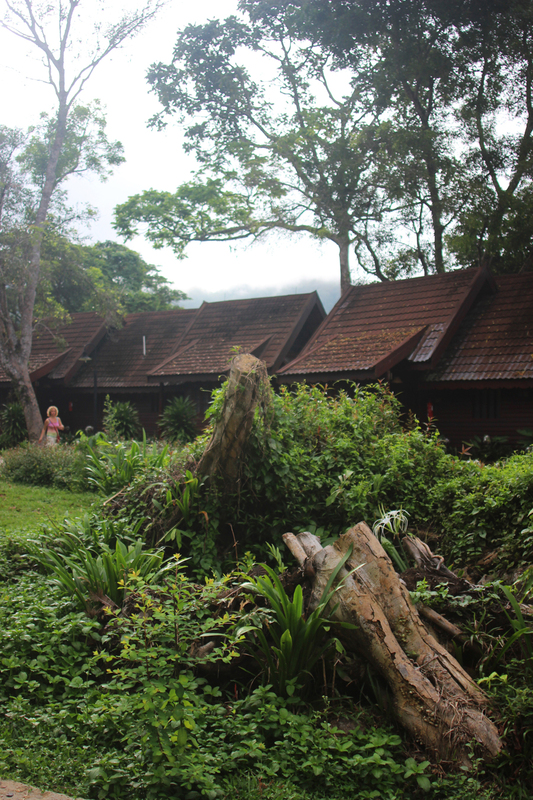 Ourselves, we got lucky even though we stayed during off-peak season: we spent the night in a chalet at Mutiara Taman Negara, where tapirs are known to show up under the trees during August waiting for fruit to fall. A Malayan tapir, itself a shy and endangered creature, decided to show up outside our veranda not once but thrice: first: just beside the next door chalet where my driver was staying on our way for a jungle night walk, the second time: on Henry and my way back from the jungle, when we fed him pears from the shop and gave him a cuddle, and the third time: we were watching a National Geographic program about the three-card Monty scam in Paris when we saw camera flashes outside our window. We ventured out to find that our tapir friend, who we named Monty after the TV show we were watching, had followed us to our chalet and was rolling around in the flower bed, surrounded by curious people with flashing cameras. I too took lots of photos of Henry's cuddle fest with Monty the tapir, you'll see! No photos of myself in this blog post because I looked like what the tiger dragged in. Backwards. Through the jungle. In the rain. 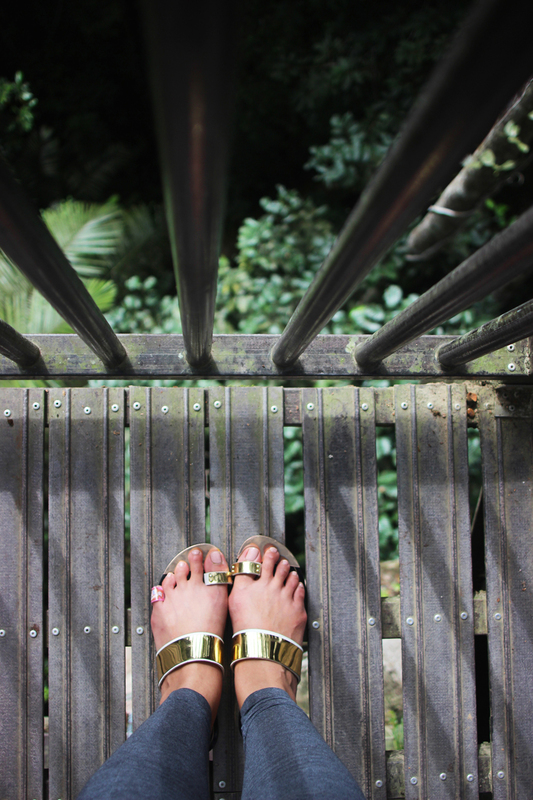 Walking ever so precariously through the tops of the rainforest, 40 metres from the ground, on the world's longest suspended canopy walkway which was essentially a plank of wood on a metal ladder hanging on ropes from the top of the trees. Every morning we rose from our chalet in Mutiara Taman Negara to a view of mist surrounding the verdant heights of Gunung Tahan (Mount Tahan). 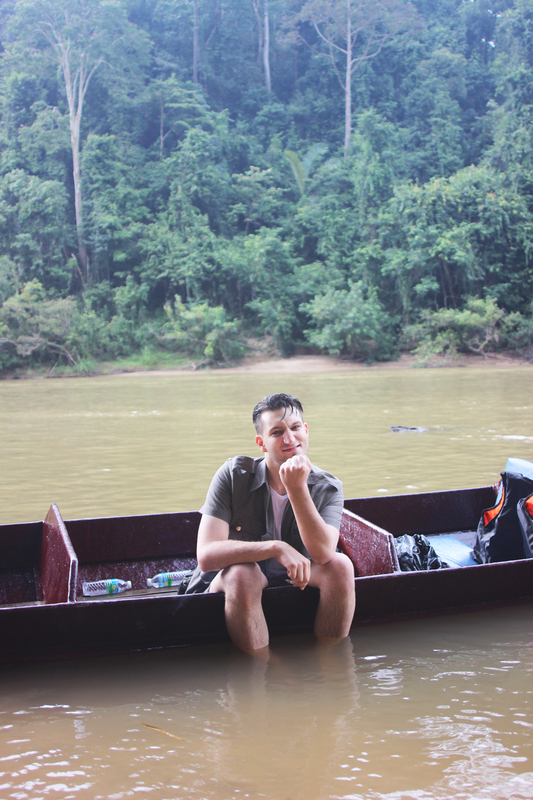 Trundling down Sungai Tembeling (Tembeling River) in a rickety dinghy before shooting the rapids at Kuala Trenggan. Everytime we approached one of the seven rapids I had to hastily wrap my camera in it's semi-splashproof case and two layers of plastic to protect it from wave after wave of river water later that threatened to sink our meagre vessel. It was a miracle that my camera stayed dry and that I managed to blink my contact lenses back in my eyes every time the waves tried to dislodge them. A view of Sungai Tembeling from the rainforest canopy. Another view of the river from Mutiara Taman Negara. I was convinced that Henry would lift his legs out of the river and find them covered in leeches, thankfully I was wrong. 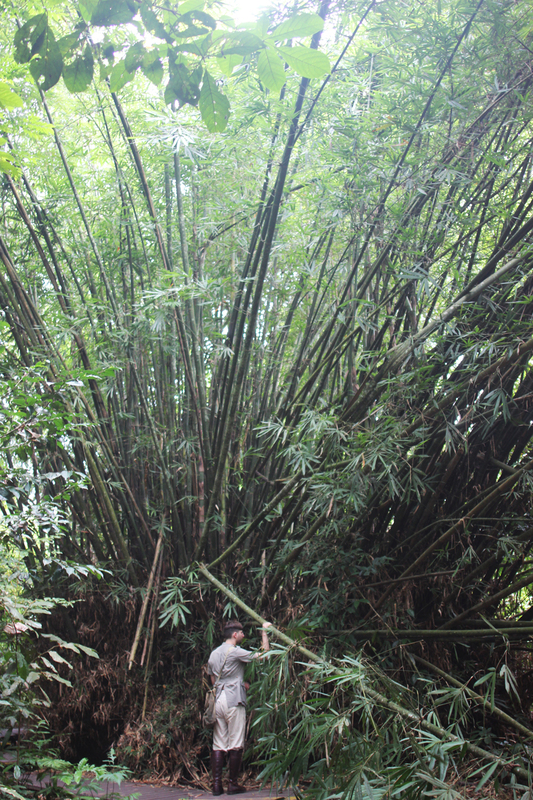 Henry and I trekked into Taman Negara without the need for engaging a guide as we only went as far as the canopy walk before turning back. Even though the walk was only two hours my legs were trembling involuntarily after and ached all weekend. 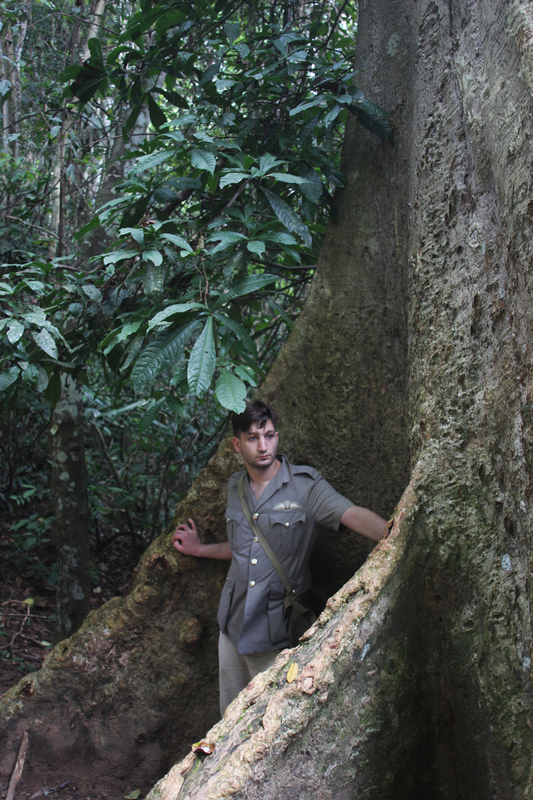 As cool as the rainforest was, with the shade and dense foliage, it was incredibly humid. We spotted pheasants and squirrels (ironically both are associated more with England than Malaysia) but were nowhere deep enough to see the more exotic wildlife (Malayan tigers, Sumatran rhinoceroses, crab-eating macaque etc). We did see a lot of mushrooms though. "We must get to the root of the problem!" Our chalet at Mutiara Taman Negara. 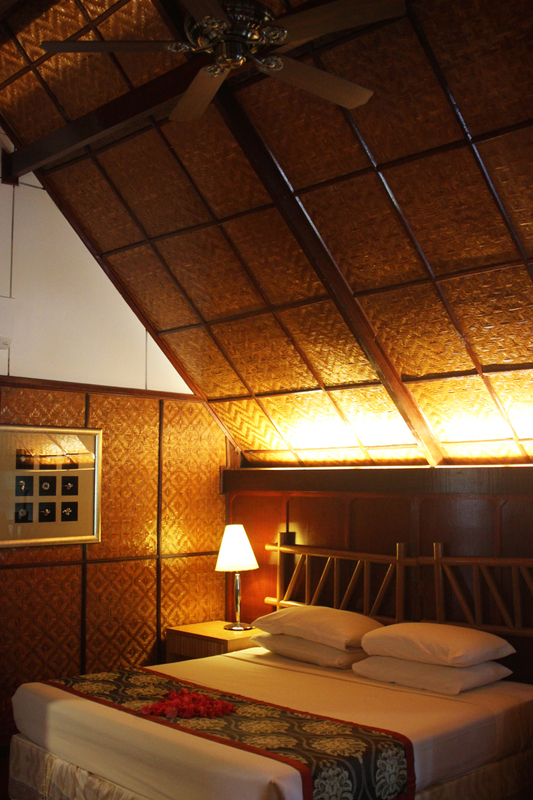 Comfortable and well designed, even though it could have been more well-mantained. Still, the staff were very gracious, helpful, and friendly. We couldn't have had a more enjoyable stay. The little details like a heart shape cluster of flowers on our bed (bougainvillaea instead of roses), winding down after a night trek with the National Geographic channel on TV, and our very own pet tapir outside our room goes a long way too. Naturally. 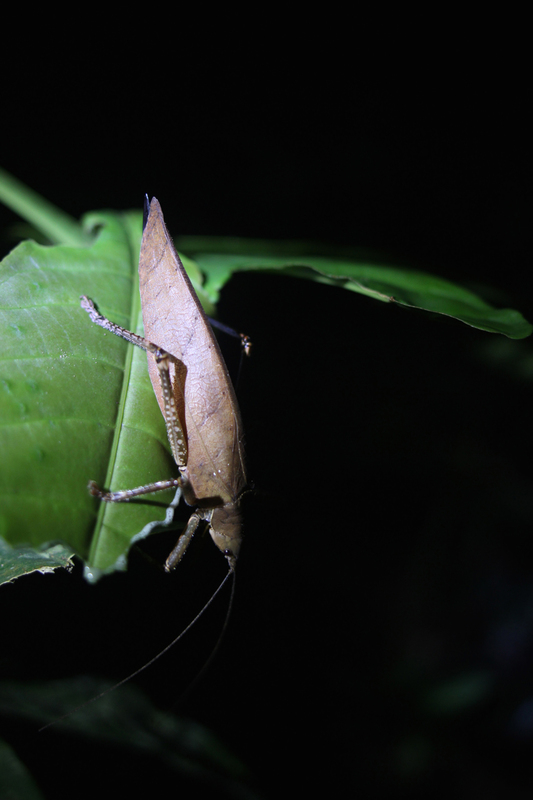 Seeking out critters, creepy crawlies, and nocturnal animals on a guided night walk through Taman Negara. 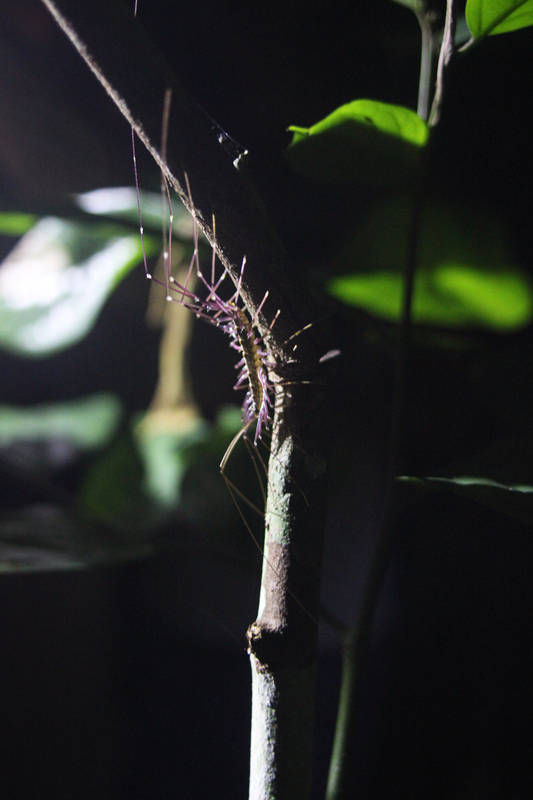 These bugs are far less pretty than the ones we encountered at the Butterfly Park in Kuala Lumpur, and don't even get me started on the snake that coiled at and nearly bit Henry. Meet Monty! Our friendly, grunting, smelly pet tapir who wandered from the rainforest into our veranda. Henry went right up to him, threw his arms around Monty and started cuddling him. Henry scratched Monty's ears: "He can't reach there himself!" and Monty responded with satisfied 'old man noises': grunts along the tune of "Errrrr--ohhhhh-errrrr-uhhhhh-mmmmm".